Currently, the activities of the Ministry of Culture of Turkmenistan are aimed at the achievement of goals in accordance with the State Program for the development of cultural sphere in Turkmenistan for 2012-2016, which has a conceptual meaning for the formation of favorable cultural environment, which, in turn, will help to reveal the cultural and spiritual potential of every person, people and the country as a whole. The state cultural policy will be implemented through popularization activities, various activities of international level. In 2012 a whole range of remarkable events took place in public life of Turkmenistan. There were cultural activities on the occasion of the 20th anniversary of the establishment of the diplomatic relations of Turkmenistan with the People’s Republic of China, the Federal Republic of Germany, the Republic of Korea, Ukraine, Belarus, the Republic of Azerbaijan. The Days of Culture of Islamic Republic of Iran, Belarus, Tatarstan, Turkey in Turkmenistan were held during this period. Days of Turkmen Culture were successfully held in Vienna, the capital of Austria and in Astrakhan, Russian Federation. Theseareonlyfewremarkableevents. Days of Turkmen Cinema took place in Uzbekistan. In the framework of the cultural events the city of Mary was announced as the cultural capital of the Commonwealth of Independent States in 2012. On this occasion, the scientific conference “Ancient Merv is a Center of the World Civilization” and the concert of popular singers from the Commonwealthstates were organized. Among recent events, the concert of the culture and art masters of Turkmenistan in Izmir city during the working visit of the President of Turkmenistan GurbangulyBerdimuhamedov to the Turkish Republic is worth noting. Consistent work is being conducted to enlarge the spectrum, improve the quality of the cultural services, widen the coverage over the population, renew the repertoire of the creative collectives, recover museum and library funds and coordinate the activities of the cultural institutions. As of today, there are 11 state theatres, 31 state museums. There are 667 houses of culture in the provinces. Their activities are renewed with new forms and methods. In particular, special groups were created to render assistance in organizational matters. These groups are designed to ensure the effective work of these institutions andraise professional level of the personnel. This is especially topical on the regional level. These groups visit regions and analyze the work in the cultural sphere. They arrange seminars, give consultations and provide assistance. Pointing to the certain dynamics of cultural processes in the country and a range of key issues that touch goals and priorities of the state policy in culture, modern image of the country in the world arena directly depends on its contribution to common culture. 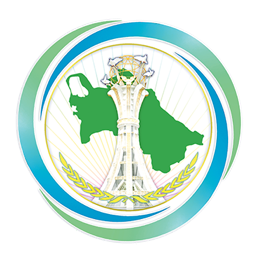 There were the presidency of Turkmenistan in the Commonwealth of Independent States and cultural events related to that. In October 2012 Ashgabat hosted VII conference of creative and scientific workers of CIS member states. In this respect, the National Leader instructed to get ready on the highest level for this important international measure. There was a special program of the conference and other activities. The state attaches much attention to the development of cultural sphere. Numerous cultural institutions are under construction in the country – theatres, cinema and concert centers, museums, culture houses, libraries and other social and cultural facilities. A lot of funds are allocated to scientific-research and archeological works. Particular attention is paid to professional training and the advancement of culture workers.